Taking time out before a week-long tour, the hip-hop duo Shining Soul took time to talk about their journey so far. We met at Arizona Falls, a water installation set along a main canal running through Phoenix. Style and fashion are topics not usual explored by Soto and Habre. Hailing from central city south or South Phoenix Habre, Chicano, shares “style, it’s personal, physical communication, something non-verbal.” Distinguishing from fashion which is more “popular”. 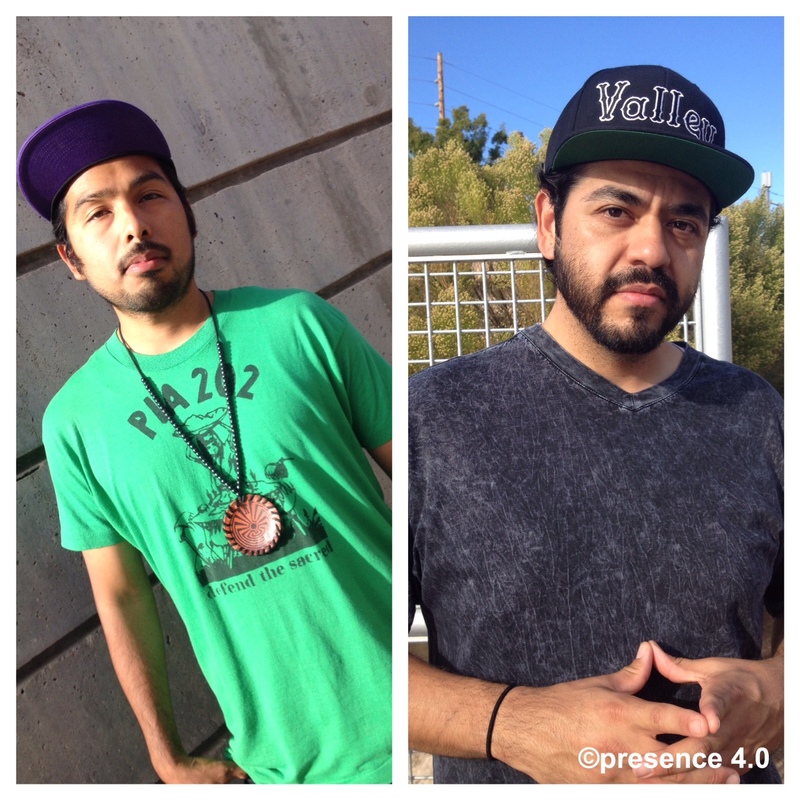 Noting in hip-hop how important it can be to personalize your style to make you stand out on and off the stage.” Soto adds “style can be music and fashion for me it even includes my choice to grow my hair out a few years ago something important to me as a Native.” Originally from Sells, Arizona on the Tohono O’odham Nation, Soto grew up in Valley too. Their work focuses on their experiences wanting listeners to understand “hip-hop is resistance”. Incorporating issues into their work like the Arizonan immigration law SB-1070 to other issues facing the Tohono O’odham and Chicano people. “It’s important for us to share our story all while keeping it funky,” says Soto. Both note how their style isn’t necessarily a “this ain’t out sh*t” variety, a reference to an attitude present on the hip-hop scene to have the exclusive shoes, shirt, etc. Their style aims to be more original and related to causes they support. Each make an effort to share the efforts of friends who advocate for current issues and design shirts to bring awareness to an issue. Soto wears a bright green tee printed by a friend with a message protesting the expansion of the Loop 202 freeway across O’otham land on the southern perimeter of city limits. 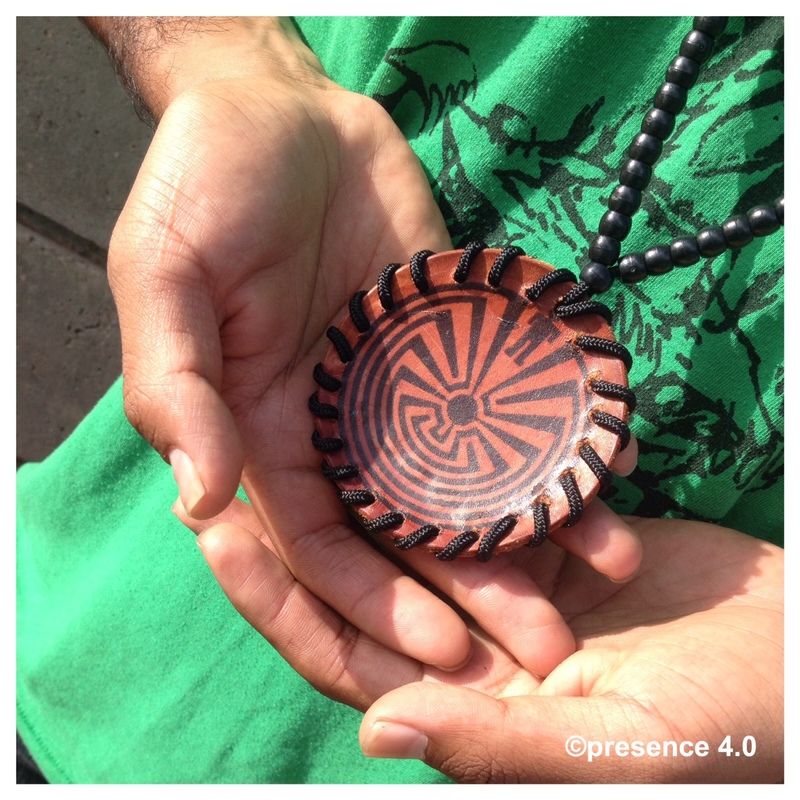 Soto also wears a medallion with the Man in the Maze symbol on it, a significant image for his people. Habre’s shares he aims to keep his style “funky but functional” wearing a marble gray tee with a personalized hat which reads “Valley”. Their music is something that will make you think about issues while “vibing out” in the words of the team. Shining Soul has had an incredible year, opening for Grammy nominated artists including Ana Tijoux. While they are thankful for all that has brought them to this point they are looking ahead to more including Germany and Europe in 2015. As they close out this year the pair is also plotting another album looking at ways to blend influences and think about what story they want to share next. Habre notes “pulling together beats is an arduous process” but soon they will know what to extract and just what they want their message to be next. “We want people to experience our music and to be critical of what issues we share as it’s unique,” adds Habre. Soto remarks, “You think you knew Shining Soul before…” we’ll just have to see what is next. 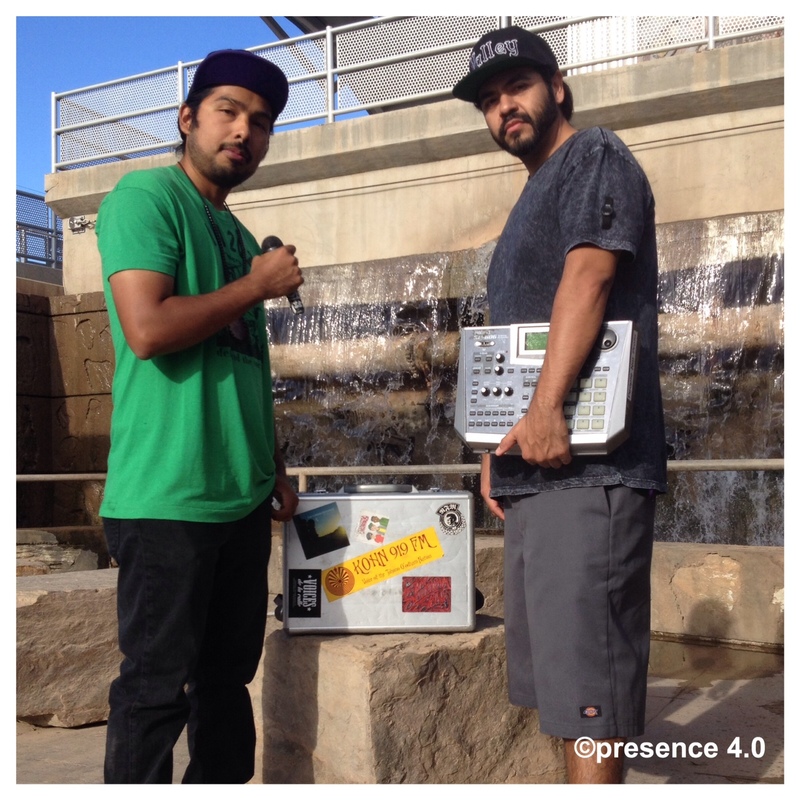 Presence 4.0 will take part in the event No Rezervations in Tucson on Saturday 15, 2014 from 7-10:30pm at Mr. Heads Art Gallery and Bar. A fundraiser for the Pascua Yaqui Festival for the Arts the event will featuring a great selection of Creative Indigenous talent. 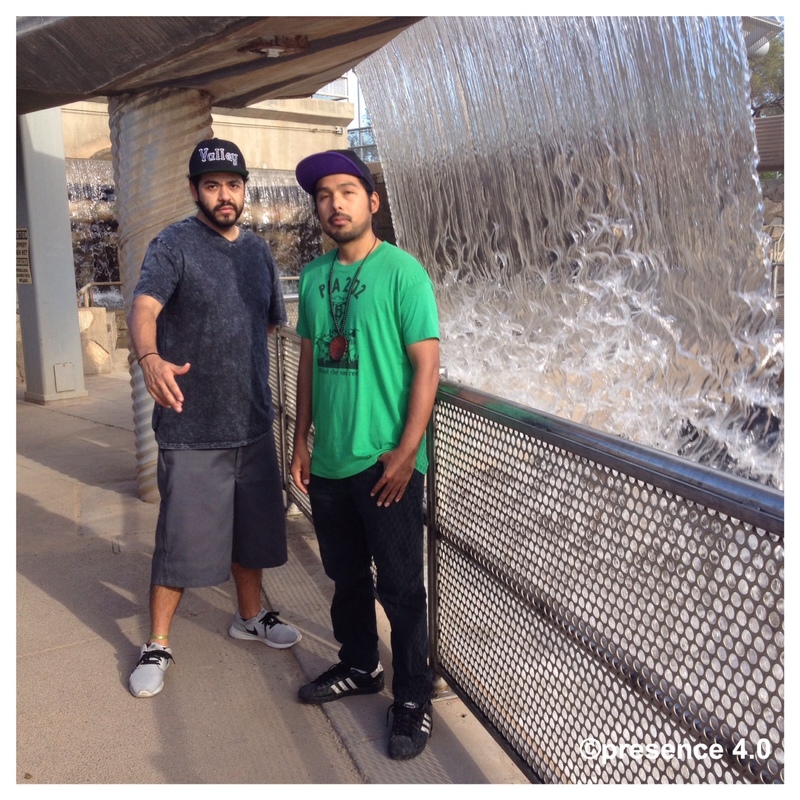 Featured in the line-up is Shining Soul a hip-hop duo based out of Phoenix, Arizona. More on the event HERE.